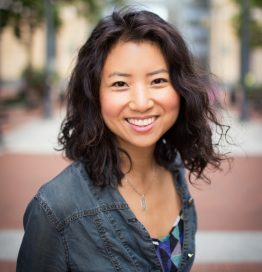 Tricia Wang, a global tech ethnographer, lives at the intersection of data, design, and marketing. She is the co-founder of Sudden Compass, a consulting firm that helps enterprise unlock new growth opportunities by putting customer obsession into practice. Organizations she’s worked with include P&G, Kickstarter, Spotify, and GE. She also co-founded Magpie Kingdom, a weekly newsletter and quarterly report that showcases human stories about the Chinese internet. Tricia’s work with Fortune 500 companies and her fieldwork research have been featured in Techcrunch, The Atlantic, Al Jazeera, Slate, Wired, The Guardian and Fast Company. She is a pioneer in popularizing the need for companies to integrate Big Data and what she calls, Thick Data, which she describes in her talk on TED. Her life philosophy is to be on the edges without being on edge. She’s the proud companion of her internet famous dog, #ellethedog.